Editor says: 2011 marks the tenth anniversary of Hayley Westenra's time in the music industry - and it's been a packed decade for the New Zealander. 2011 in particular has seen her release a ground breaking, top quality album on an international level. She has sold millions of albums all across the world and her influence in the classical crossover genre is easy to see, as new artists follow her footsteps and use her original repertoire. 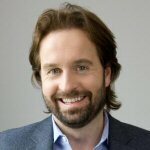 Alfie Boe has had a terrific year in the UK, regularly making an appearance in major media outlets and in the top ten UK charts. He brought a huge audience to classical music when he featured in the Les Miserables Anniversary special last year and he has been unstoppable since. It has all been rather surprising since his initial entry into the recording industry came about very quietly in 2006 on the Classic FM label. His laid back personality, charm and one of the most stunning male vocals to come out of the UK have earned him well deserved success and a place on the nominations list. 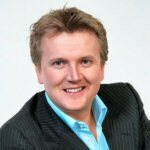 Arguably one of the first CC artists, as we now know it, since he first graced our ears in the eighties with the world famous 'Walking in the Air', Aled Jones has continued to bring great exposure to classical crossover music with his accessible albums, regular TV presence and his consistant work output. One of the biggest selling CC artists in the world; Jones deserves to be acknowledged. With another fantastic album release this year in Daydream, Katherine Jenkins is once again one of the forerunners for this award. Jenkins is very much the "representative" of classical crossover in the mainstream media and since her departure from Universal, has become more experimental and varied with her music under the American Warner label. 2011 has also seen Jenkins take her career to an international level as she continues to inspire upcoming and current CC artists from the world over. This violinist is one of the rare few artists that can say that they appeal to a younger audience. 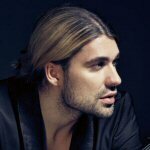 David Garrett is a household name in many countries, topping charts and creating new and exciting sounds for the violin. He is a prolific artist with an insane schedule; frequently releasing new albums all over the world. It's all the more incredible for an instrumentalist to be such a big commercial success. Whilst there are several artists that can get the classical genre exposed in mainstream media, they can't get the attention of the younger audience; but Garrett does this with relative ease. The winner of this award was determined by the Editor of Classical-Crossover.co.uk.